myReviewer.com - New Anime Distributor Animatsu Launches! 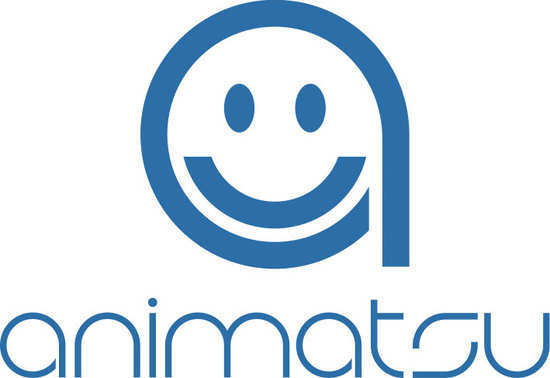 NEW DISTRIBUTOR ANIMATSU ENTERTAINMENT LAUNCHES IN THE UK. ANNOUNCES SALES AND MARKETING AGREEMENT WITH MANGA ENTERTAINMENT. The future of anime lives at Animatsu Entertainment Ltd a new specialist UK distribution and production company primarily focusing on Japanese anime films and TV series. Spearheaded by Jerome Mazandarani as COO and Andrew Hewson as Marketing Manager, they both bring considerable experience with them as the two key players behind the last 10 years of success at Manga Entertainment’s UK operation. “Animatsu combines our experience in marketing anime and other cult film and television brands with our enthusiasm for the modern popculture fan scene. Animatsu really is a fandriven enterprise.”, comments COO Jerome Mazandarani. Animatsu will release its new titles from March 2015 on Digital, DVD and Bluray with the first home video launch of the highly anticipated liveaction film Halo: Nightfall the sequel to last year’s smash hit Halo: Forward Unto Dawn. Nightfall is from Executive Producer Ridley Scott and the director of Battlestar Galactica which tells the dramatic story of legendary manhunter Jameson Locke and his team as they are caught in a horrific biological attack. Halo: Nightfall will be released through a joint partnership between Animatsu and Anchor Bay Entertainment on March 16. Animatsu has recently closed a UK license deal with Sentai Filmworks for 8 brand new anime licenses including Blade And Soul, Comic Artist and His Assistants and Coffin Princess and is in advanced negotiations on a number of other high profile licenses. Two more key titles acquired will be announced in forthcoming issues of Neo and MyM magazines both out on store shelves 22nd Jan.
Animatsu has entered into an exclusive sales and marketing partnership with Manga Entertainment. Manga will provide Animatsu with key backend services including sales and distribution while Animatsu will handle all marketing and brand management for both companies. “Animatsu is the realisation of all of the exciting things I’ve wanted to do with anime and special interest licensing over the years including developing a successful digital sales model for anime brands. I am delighted that in addition to launching our own label we will also be able to continue working with our friends at Manga and help them to consolidate their position as the largest anime distributor in the United Kingdom”, comments COO Jerome Mazandarani.